Getting hit by a car while walking or riding your bicycle is an awful thought. So the image of a pack of cyclists being run over by a SUV is nothing short of terrifying. Last year, four cyclists were injured in San Francisco’s Mission District after a man in an SUV allegedly ran them down in what the San Francisco Chronicle calls a “six-minute rampage.” The driver, David Mark Clark, now faces four counts of attempted murder, and his attorney has unofficially said Clark will seek an insanity plea. While the circumstances of this incident are rare, bicycle accidents are far too common in San Francisco and throughout California. At least half a dozen major bike accident lawsuits are either currently in the works, or have been settled for major awards in the past few years. We’ve rounded up five more of these major bike accident lawsuits. Take a look, and let us know in the comments section if you know of other California bike accident lawsuits that we should add. Most recently, a 62-year old Los Angeles cyclist was struck and killed by an angry driver. The especially tragic aspect of this accident is that the cyclist had no part in the disagreement between two drivers, a 37-year old man operating a Chevrolet Avalanche, and a 23-year old woman driving a Kia compact vehicle. The Chevrolet owner was immediately detained by police and was later released “with a possibility of filing later on,” according to the LAPD. Police commented that one of the drivers could face criminal charges, and would likely be cited in a wrongful death lawsuit. 43-year old cyclist Michael Nine was killed in Newport Beach while riding with a group of 25 cyclists on the morning of July 15, 2010. The cyclist at the head of the pack reached the top of Spyglass Hill Road and saw the truck right in front, yelling “Truck! Truck! Truck!” said the police report. Most cyclists were able to veer off the road, but Nine was hit and later died from injuries sustained in the accident. In June, Nine’s family filed a wrongful death accident against the driver of the truck, the City of Newport Beach, and two neighborhood associations. The lawsuit claims that the city did not implement appropriate safety signs, the neighborhood associations did not sufficiently prevent possible accidents, and the truck driver was driving recklessly. In June, San Francisco’s mass transit agency agreed to a record bike accident wrongful death settlement of $5.36 million to the family of David Wheeler. In November of 2008, Wheeler was hit by a 16-X Noriega bus while crossing the Lower Great Highway at Ocean Beach. Documents filed in San Francisco Superior Court indicated that the bus driver neglected to obey the stop sign before turning left onto the highway, did not use his left-turn blinker, and cut the turn too close, all factors that contributed to the fatal bike accident. This settlement was nearly twice as high as the infamous 2009 West Portal Station accident that injured nearly 50 passengers and led to $2.4 million in settlements. Details are more murky in the case of a Portola Valley bike accident that led to the death of 47-year old cyclist Lauren Ward. Ward’s family has filed a wrongful death claim against trucker Gabriel Manzur and the company he works for, Randazzo Enterprizes, which owned the truck that hit Ward. They have also filed a claim against San Mateo County, alleging that dangerous road conditions contributed to the deadly crash. The California Highway Patrol claims that Ward “unsafely turned” while turning left onto Alpine Road near I-280. But the CHP also acknowledges that there were no eyewitnesses, and it remains unclear whether or not she actually made an unsafe turn. After German exchange student Nils Yannick Linke was struck and killed on San Francisco’s Masonic Avenue by a drunk driver last year, he has become something of an icon for the movement to improve streets for San Francisco cyclists. In January, his family filed a wrongful death lawsuit against Joshua Calder, the drunk driver charged with hitting Linke, Calder’s girlfriend, and his grandmother, who owned the vehicle that caused the crash. Linke’s family is seeking a jury trial for general and punitive damages following the death of the 22-year old musician and cyclist. Fatal bike accidents are always tragic for those who have lost friends and family. But the lawsuits above show that they can also be crippling to the budget of an individual, a transit agency, or even a city. So in order to improve infrastructure, avoid massive legal fees, and most importantly, save lives, California cities should get serious about cutting down on serious bike accidents. 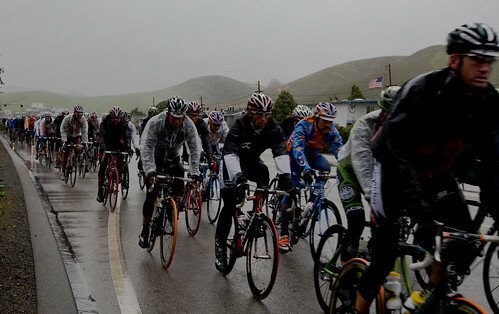 In the mean time, remember to be careful while riding your bicycle in cities and rural areas throughout California.